As I have been studying the Old Testament this year, I've discovered many powerful verses of scripture. That has lead to a project to letter 100 scripture verses and I've found that after I spend time painting a verse each morning, the powerful words linger in my head and heart all day. 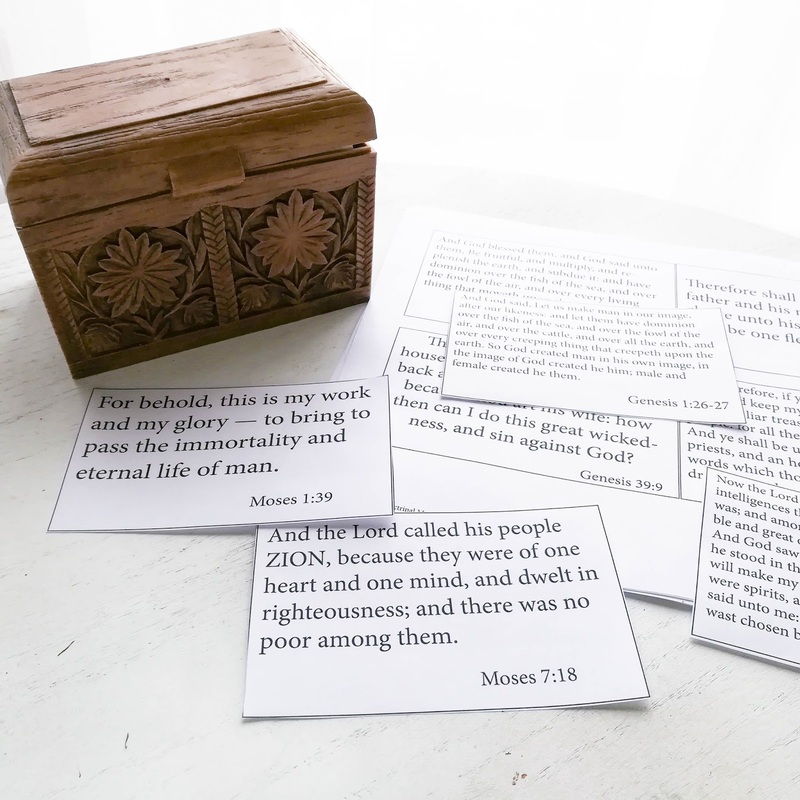 I've been wanting to share these verses with my children so I created these simple cards. They are designed to help you and/or your children memorize the Old Testament Doctrinal Mastery passages. The cards are 3x5" in size in order to fit into an index card storage box. Introduce one new verse each week and review the other verses often, and before long you will have many verses committed to memory! Read more about how we've done this here. 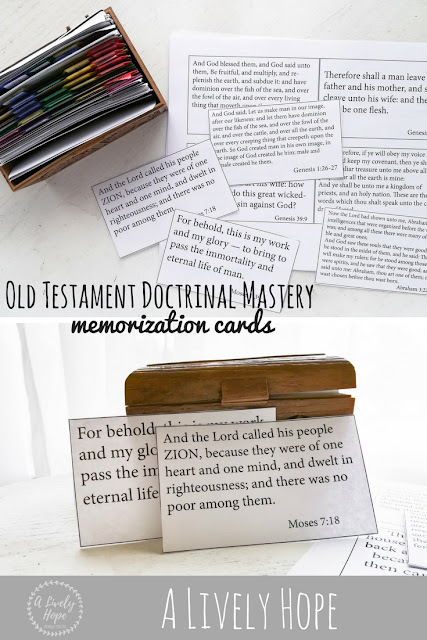 I'll be sharing the additional Doctrinal Mastery cards over the next couple of months, as well as other sets of scriptures. after the child has recited the scripture, give him/her a small treat. This could be a sticker, or a single skittle or a chocolate chip. Something very small, but fun enough that they want to recite scriptures multiple times a day. you'll be amazed at how quickly this works! 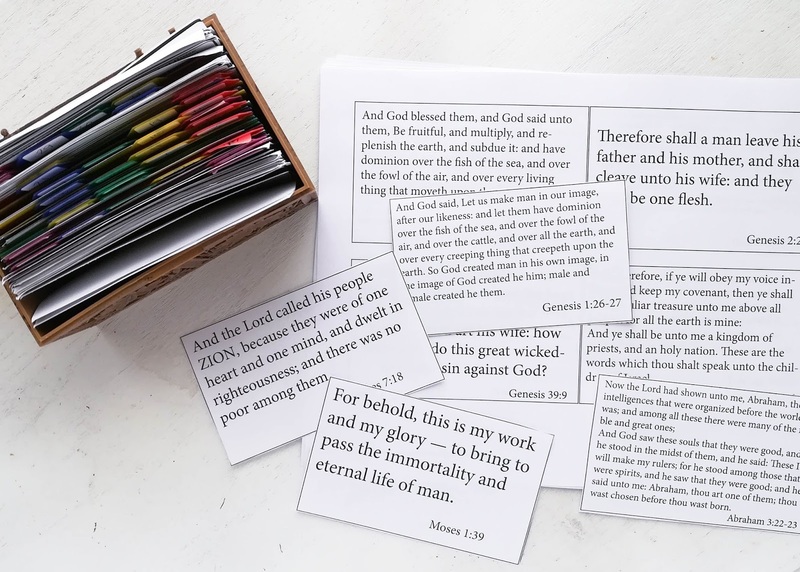 Do you have any other methods for memorizing scriptures?